Is your organization in the cloud yet? 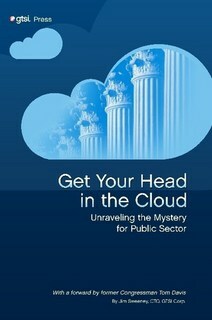 Cloud computing gives public sector organizations the dual oppurtunity of cutting costs and modernizing their IT systems. For this reason, public sector organizations at the local, state and national level have placed cloud computing at the core of their IT strategy. This is supported by the White House’s “cloud first” initiative. Founded in 1998, HyperOffice brings public sector organizations a market leading cloud technology, a rock solid reputation, and over 13 years of experience to assist with moving IT loads to the cloud. Our cloud based communication and collaboration solutions allow public sector organizations save on IT infastructure costs while giving employees the flexibility to securely keep connected with information, and work together with teams, contractors, agencies and vendors on any internet enabled device. 128 bit encryption. World class Tier 4 data center with redundancy, backup and physical security. Robust cloud based email fully integrated with Outlook and mobile devices. Securely share and collaborate on documents with shared folders, permissions, version control, search and more. Centrally manage projects involving employees, contractors and agencies with project scheduling, task dependencies and Gantt charts. Organize group information and collaboration tools with customizable workspaces for teams, departments or projects. Coordinate schedules and share important contacts. Sync calendars and contacts with Outlook. Easily collect and organize data from stakeholders and target audience with do-it-yourself web forms and shared online databases. Securely access and share information from major mobile devices like iPhone, iPad, BlackBerry, Android, Windows Mobile and more.